How does the UnLimited Media’s IP Home Phone service work? 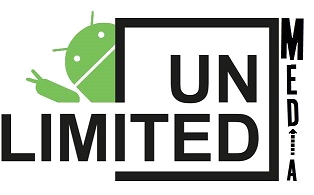 UnLimited Media’s Home Phone service uses your high-speed Internet connection to deliver your phone service. As you would with a traditional telephone network, you can call anyone who has a conventional phone service, an Internet-based phone service line, or a cellular phone. Do I need a specific telephone to use UnLimited Media’s Home Phone service? You need a touch tone phone to use this service. Can I use my own jacks to connect my phone? You will have to use the single jack we provide you to connect your phone and your Internet. Since our phone service uses the Internet, you will need to connect your primary phone to the voice gateway that will be provided to you. If you wish to have more than one phone device available, we recommend the acquisition of Multi handset Cordless phones, which can accommodate up to 5 telephone devices per single phone jack, depending on the model you choose. There are ways to utilize the current jacks in your home, however our technical support team does not trouble shoot or encourage these methods, they can be found online. Does my computer have to be on for me to make calls? No. Only your modem and the UnLimited Media Phone adapter must be on to make or receive calls, UnLimited Media’s Home Phone service isn’t required to use your computer. You can plug your adapter into the computer for more advanced configuration options. To access your voicemail from your UnLimited Media Home Phone, dial *98 followed by your PIN (which is, by default, your 7-digit account number) and the # key. If your account number is less than 7 digits, then simply add zeros in front for a total of 7 digits. To access your voicemail when you’re away from home, dial whichever access number is local to you and follow the recorded instructions. Yes, you may be able to keep your current telephone number. Please contact us to verify the service availability in your area. Can I take my UnLimited Media Home Phone service with me when I travel? Yes. As long as you have access to high-speed Internet, you will be able to use your service. It is recommended that you first check the domestic laws of the country you are visiting to make sure that using Voice over Internet Protocol (VoIP) technology does not violate any regulations. Can I speak on the phone and use the Internet at the same time? Yes! You will be able to use your service without restrictions to make or receive calls while you are enjoying surfing the Web. Does UnLimited Media offer a 7-1-1 service for hearing and speech impaired people? Message Relay Service (7-1-1) is available to UnLimited Media’s Home Phone customers. Are 9-1-1 Emergency Services available with the UnLimited Media Home Phone service? Yes, the Distributel Home Phone service provides access to 9-1-1 Emergency. If you will be away from the service location that you registered with UnLimited Media for an extended period of time and you will be taking your UnLimited Media Home Phone service with you, we recommend that you update your user profile to ensure that the appropriate address is on file in the event of a 9-1-1 emergency call. This process may take up to 5 business days. Please contact one of our customer service agents to make any changes to your 9-1-1 profile. Please note that there may be an additional delay to transfer your emergency service call to areas not served by traditional 9-1-1. If you dial 9-1-1 when you are outside of Canada or of the United States, our emergency service operator will advise you to hang up and find a local phone and dial the appropriate emergency number (it may not be 9-1-1). WARNING: Power disruptions or failures, Internet Service Provider (ISP) outages or unavailability and tampering with equipment will also prevent dialing to emergency service numbers including 9-1-1. Will my UnLimited Media Home Phone service work if the power goes out? No. Unless you have a back-up power source in place, your modem, router, home network and Internet Voice Gateway will not work in the event of a power outage. What kind of Internet connection do I need to use the UnLimited Media Home Phone service? We recommend that your high-speed Internet connection have a minimum speed of 2 Mbps to ensure the quality of your Home Phone service. Can I send a fax over the UnLimited Media Home Phone service? Yes! The service will work with all types of Cable, DSL or FTTN high speed Internet. Please ensure that the connection is stable before sending a fax, in order to ensure its transmission. What is included in the Unlimited Media Home Phone service starter kit? The material included in your kit varies depending on the type of service you selected. Does the UnLimited Media Home Phone service work with a wireless Internet connection? No, you must connect the Internet Voice Gateway to your high-speed modem with a network cable or router in order for the service to function correctly. Refer to the installation guide for further details. Can I have more than one phone number with UnLimited Media in the same house? Yes, you can have two phone numbers but you have to pay for each line you have. Yes, but there is a 25$ charge if you decide to change your phone number. After your activated.